Plaintree Systems Inc. is a exceptionally diversified company with proprietary technology and manufacturing capabilities in structural design, aerospace and telecommunications. Triodetic Ltd specializes in the design and manufacture of specialty structures for Architectural and Industrial applications. 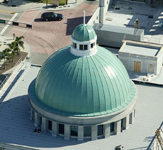 In the Architectural field, such as museums, hospitals and casinos, Triodetic constructs space frame structures and domes as well as complex three dimensional free form structures. For Industrial applications, Triodetic designs, manufactures, and constructs wide span stock pile covers which may vary from 30 meters to 130 meters in diameter. Triodetic has also developed covering systems for all their structures. Hypernetics designs and manufactures electromagnetic transducers for aircraft anti-skid systems, electromagnetic and electromechanical avionics components for commercial, military and rotorcraft. Current customers include Honeywell, Rockwell Collins, Astronautics, Meggitt Aircraft Braking Systems, Goodrich Aircraft Wheels & Brakes, and Pratt & Whitney Canada. 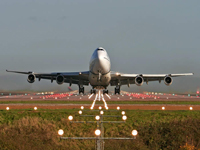 Hypernetics is a Transport Canada approved manufacturing organization pursuant to Canadian Aviation Regulations (STD 561) and offers an expanding variety of Product Design Approval (PDA) parts to supply older aircraft. Hypernetics offers complete in-house design, manufacturing and test capabilities. Founded in 1988, Plaintree’s focus was on engineering and manufacturing intelligent network switches. 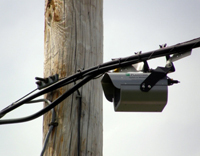 In 2000, Plaintree introduced a line of Free Space Optical (FSO) wireless equipment into its product portfolio. The WAVEBRIDGE™ series of FSO links offer fixed wireless network connectivity with speeds up to 155 Mbps. The FSO system offers a fast, cost-effective solution for Service Providers to connect customers over the “Last Mile”. It is also the most convenient and cost-effective solution for enterprise connectivity and LAN extensions. FSO is an attractive alternative to Radio & Microwave Frequency solutions where spectrum interference and licensing problems occur. 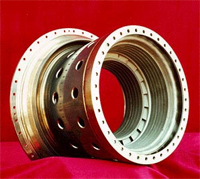 Summit Aerospace Inc. provides precision machining to the aerospace and defense markets. Our state-of-the-art facility offers the ability to provide high-end precision products in any quantity to our clientts. Our team of professionals will support your company’s requirements from concept, prototype and throughout production. We offer an all-inclusive service that is based on your quality requirements. 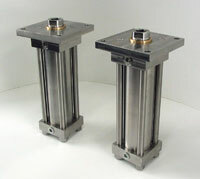 Spotton Corporation has been making quality hydraulic and pneumatic cylinders for over 80 years. Located in a 130,000 Sq. Ft. state of the art facility in Arnprior, Ontario we are able to house an extensive inventory of materials, parts and seal kits to provide excellent delivery times for our customers. Founded in 1938, Spotton Corporation (originally John Spotton Co.) is a leading designer and manufacturer of pneumatic and hydraulic cylinders and valves. With over 70 years of experience, Spotton provides high quality cylinders and valves to customers worldwide. MULTIPOINT has been developed for any structure that is situated on weak, unstable, variable soils or in flood prone regions. 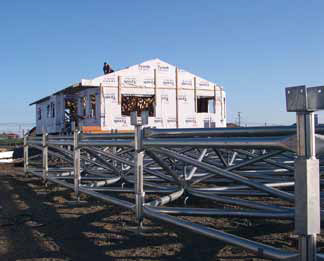 By providing a rigid platform to build on, MULTIPOINT acts as a floating slab, so racking of the home and resulting damage to building is eliminated. This effectively extends building life and so maximizes the value of material used, reduces maintenance and insurance costs. Making it economical in terms of both initial and life cycle costs.